How much should you put down on a house is a common question most buyers have! 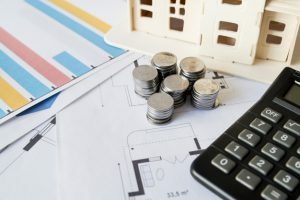 In real estate, a down payment is the amount of cash you put towards the purchase of a home, the difference between the price of the home and what they will borrow. They vary in size and are described in percentages based on the sales price of the house. The first step in getting a mortgage is to get your finances in order and figure out what you can afford. You want to be able to buy a home you can afford in good times and in bad. Remember you don’t have to buy a home that will cost as much as what you qualify for. On average, couples spend about 28%-33% of their income on housing, but you may want to spend less. The second thing to do when you shop for a loan is to hire a mortgage broker, especially if your credit is less than perfect. Mortgage brokers are usually paid by the lender. They can determine how much you can afford, offer credit counseling, and recommend the best options for your needs. The broker does all the legwork for you so you don’t have to call every lender in your area. One of the most important factors in getting a mortgage is your credit score. Lenders look at several factors when considering you for a mortgage and your history of repaying debts has a big impact on what your monthly mortgage payments will be. When your credit score is high you will be eligible for lower interest rates. If you put less than 20% down on a home, your lender will likely require you to pay Private Mortgage Insurance or PMI. This is to protect the lender against default. PMI benefits first-time buyers because it allows them to buy a home without putting down a large down payment. Starting April 1, 2013, for FHA loans if you put down less than 10%, you will have to pay that premium for the life of the loan. If you put down more than 10%, it can be eliminated after 11 years. Deciding whether or not to save for a larger down payment or put a small amount down will have a lot do with where you are financially and what your current living situation is. Personal finance situations are just that, personal. A trusted financial adviser can help you make a smart decision. What you and your neighbor do will be different and that’s okay! There is no right or wrong answer to how much of a down payment should be made. When you want to apply for a mortgage loan to purchase a home there are many options available depending on your needs. Many mortgage loans have low and no down payment options. Once you know what you can afford and what type of loan you’ll get, you can search listings for a home! *We are not a mortgage company and cannot in any way guarantee rates. Please consult with a qualified mortgage planner or financial adviser.